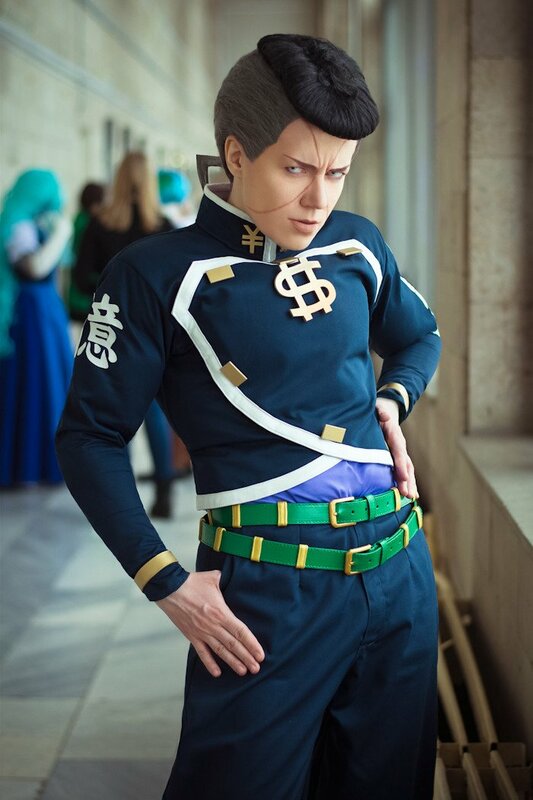 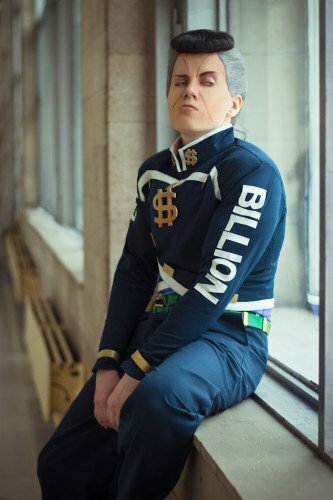 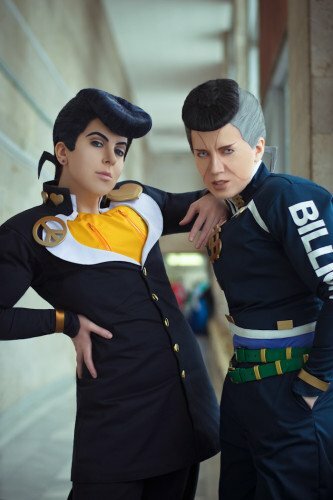 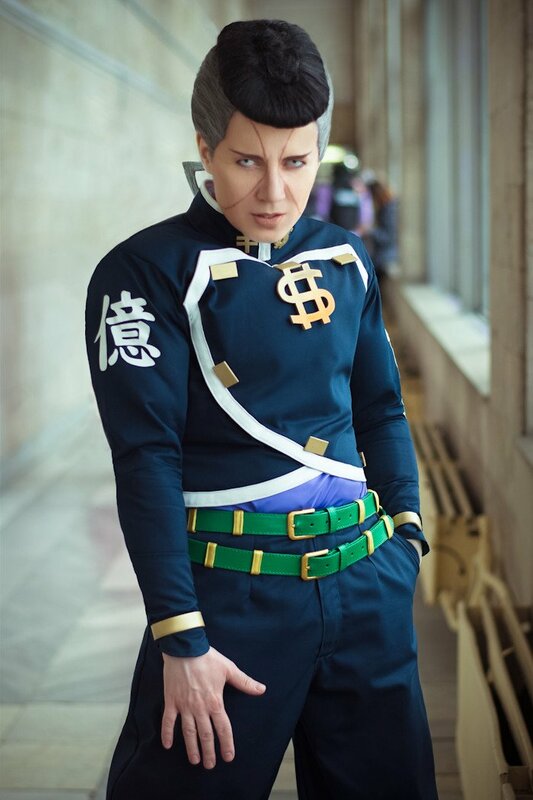 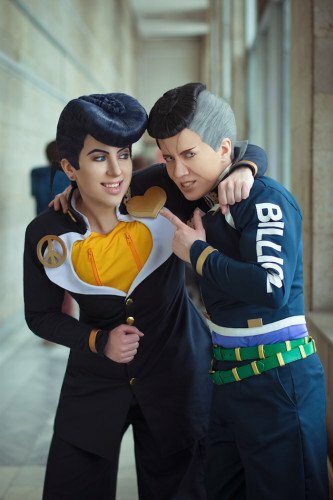 Okuyasu was my first JJBA cosplayed character and I regret nothing! I just adore watching how Josuke and Okuyasu hang out and kick asses together and of course Camui and I couldn't help but cosplay these Morioh gopniks. 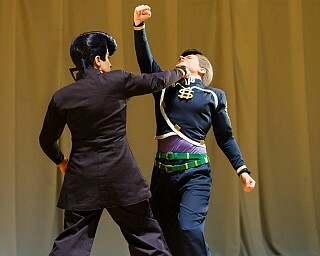 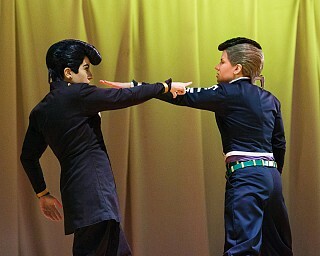 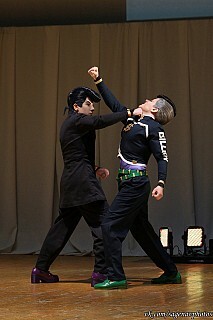 Making of Okuyasu's wig last night before our first defile was stressful but in general we enjoyed the making and acting like these boys at the con a lot!